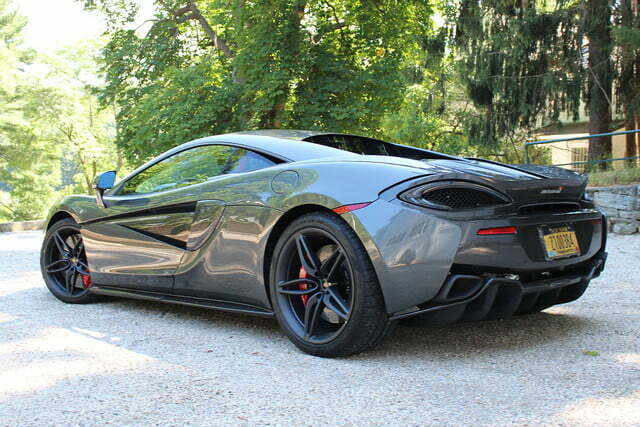 McLaren may have made a more earthbound super car, but the 570S doesn’t skimp on sportiness. It used to be that the only McLaren anyone could ever dream of driving was the legendary McLaren F1 – unless you were a professional race car driver, of course. From head to tail, this car was light years ahead of its time. 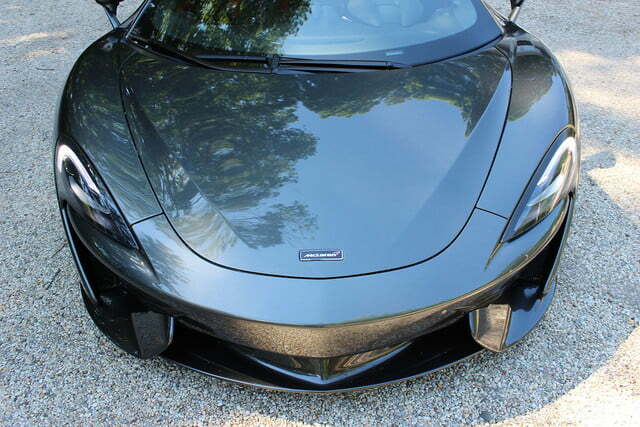 With its carbon fiber monocoque chassis and Formula 1-derived hardware, it redefined the way supercars were built. This naturally aspirated, six-speed manual, rear-wheel drive car would be a benchmark of performance well into an era of technology that would make all of that seem neolithic. In 2013, McLaren changed the game again with the P1, a sports car that took a sledgehammer to the stigma of eco-friendly hybrid technology, proving it had a place in the supercar world. Today, we’re fortunate enough that McLaren has implemented a new three-tiered product strategy that brings some of that hypercar magic down from Mount Olympus and gives us power we can wield for ourselves. 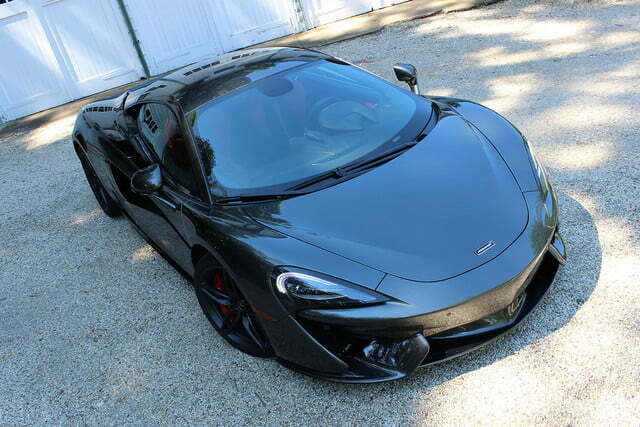 This comes in the form of the 570S: the McLaren for mortals. 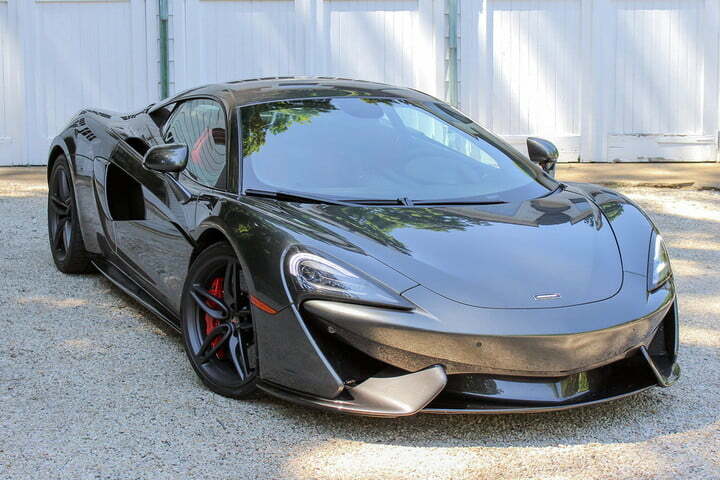 Saying a car that costs upwards of $184,900 is the entry level model stretches the term “attainable” to its limits, but this means we’re more likely to see a McLaren on the road once in a while instead of strictly in private collections. The 570S is the basis of the Sports Series in McLaren’s lineup, the other two being the Super series and the Ultimate series, which are homes to the 650S and P1 respectively. As you can imagine, power and performance go up in each category, but so does the price. 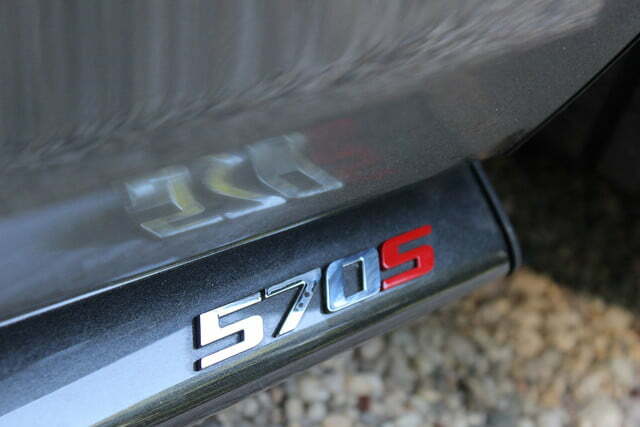 This doesn’t mean the 570S feels dulled in any way, however. 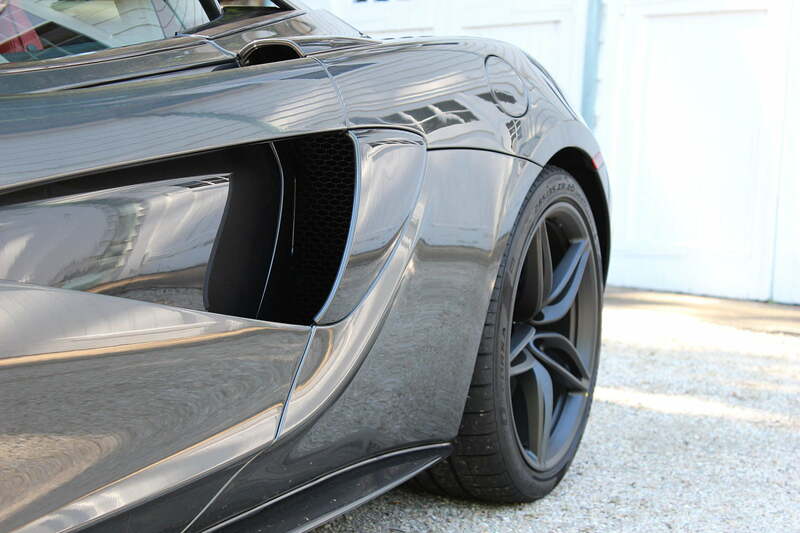 Based around a carbon fiber chassis, the mid-engine 570S is clearly built for performance first and foremost. Every aspect of the body has a distinct focus on aerodynamics, from the wide grinning maw in front that scoops air to the flying buttresses that channel it over the roof to the flat underbelly and substantial rear diffuser. Every molded curve is beautiful in its functionality, and like the geometry of a flapping bird’s wing, each translates motion into force. 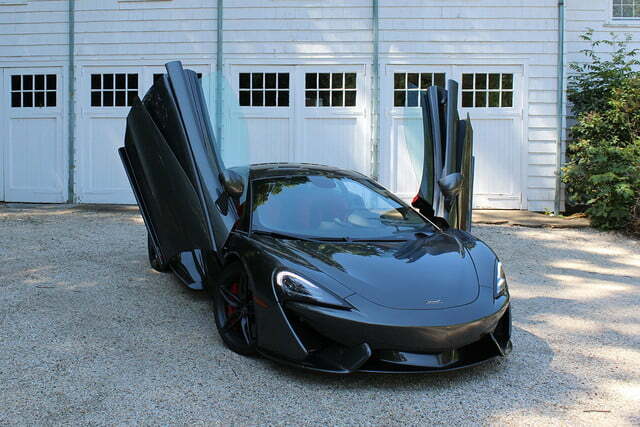 Whether consciously recognizing these aspects or not, from the sleek curves to the batwing-like doors, the 570S undeniably grabs attention. But underneath all this seemingly alien architecture beats the heart of a very terrestrial race car. A 3.8-liter twin turbo V8 sits behind the driver’s head, able to churn up 562 horsepower and 443 pound-feet of torque. There’s no “quiet” mode on the 570S, so even in its most docile state, its engine rumble lays waste to any potential hopes at subtlety. If passers by miss the looks, they’ll sure hear the sound. 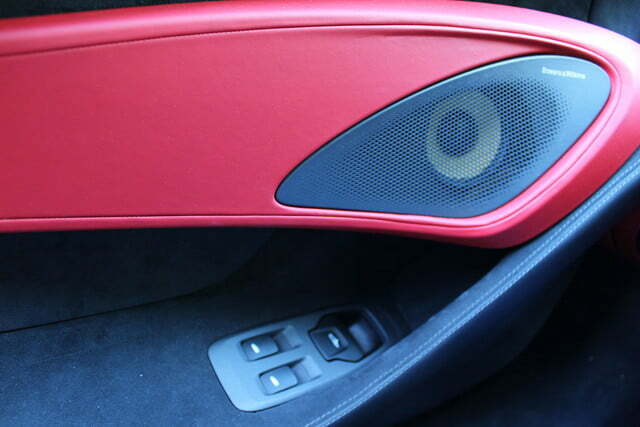 As far as available drive modes, the McLaren has two knobs in the center console that let drivers configure the powertrain and handling independently. Each can be set to Normal, Sport, or Track, depending on how harrowing an experience you desire. 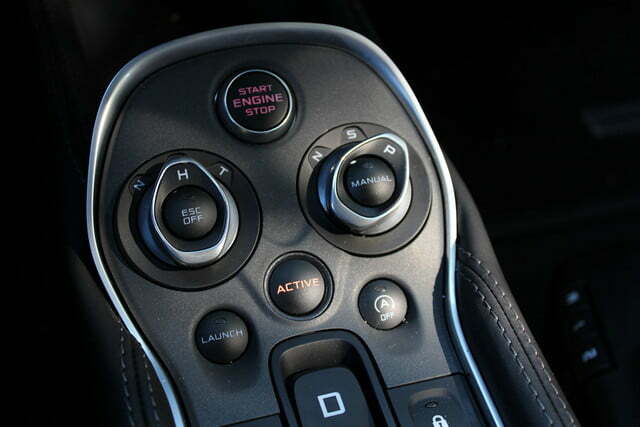 You can also leave it up to the car to decide as well, and you can switch to full manual paddle shifting in either case. If the engine sounds captivatingly ominous in idle, it more than satisfies when put to work. 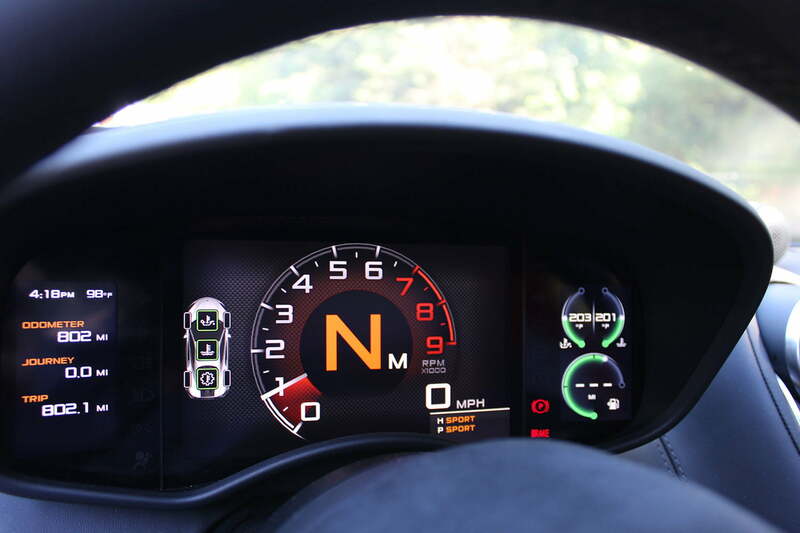 Flicking the drivetrain dial to Track, the digital dashboard switches to a Formula 1-style display, complete with a series of lights indicating proper shift points. What’s seen by the eyes is supported by the ears, especially high in the rev band as the whine of the power plant does its best impression of its Honda-sourced turbo V6 Formula 1 cousin. In fact, the F1 underpinnings of this car can’t go unnoticed, warts and all. 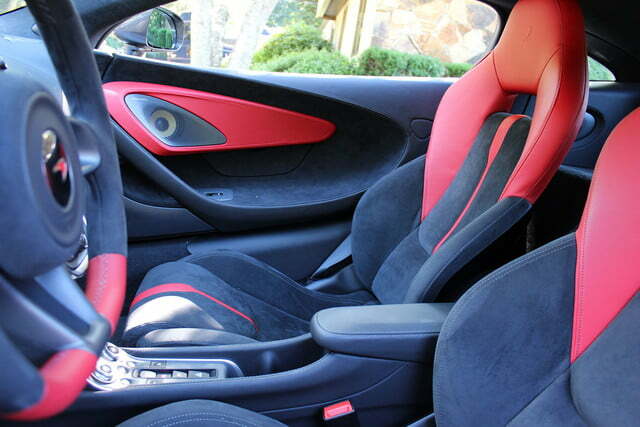 For better or for worse, it feels very much like a road car built by a race car company. When driven with some enthusiasm, this mixes up a beautiful cocktail of feel-good endorphins that run up your spine and bathe your brain in happiness, fear, and excitement all at once. Power fires to the rear wheels through a seven-speed dual-clutch, which does fine when left alone but truly sells the experience when each gear is manually flicked through. 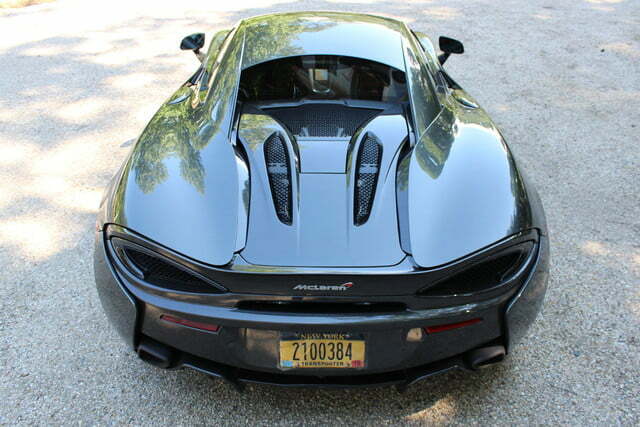 McLaren says the 570S can sprint from 0 to 60 in 3.1 seconds, and I wholeheartedly believe that. 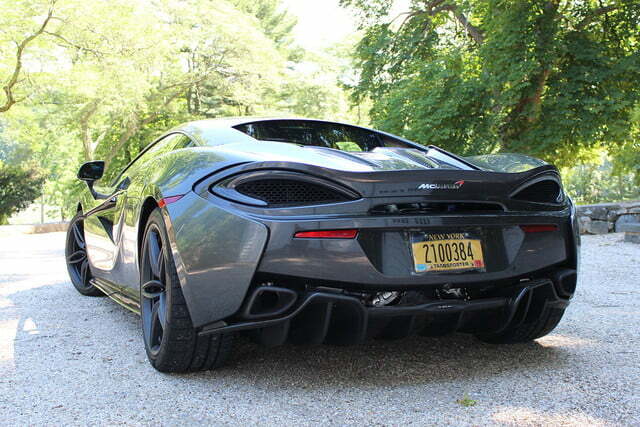 Punching it in the 570S is breathtaking, matched only by how well it handles through the bends. If all that power is the perfectly cooked rib eye, it’s complemented with a heaping serving of grip. Shoed with a set of Pirelli P Zero Corsas by default, the ride is all about performance from the ground up, no matter how “refined” McLaren states it can be. Along with dual wishbones in the front and rear, the system uses adaptive dampers with front and rear anti-rollbars that provide very precise rebounds over bumps. And a twist of a dial determines if the 570S goes from rigid to really, really rigid depending on what conditions you might face. Further making sure the 570S’s shiny side stays up is a Bosch-developed ESC (Electronic Stability Control) that can be passive or completely turned off by the brave or foolhardy. 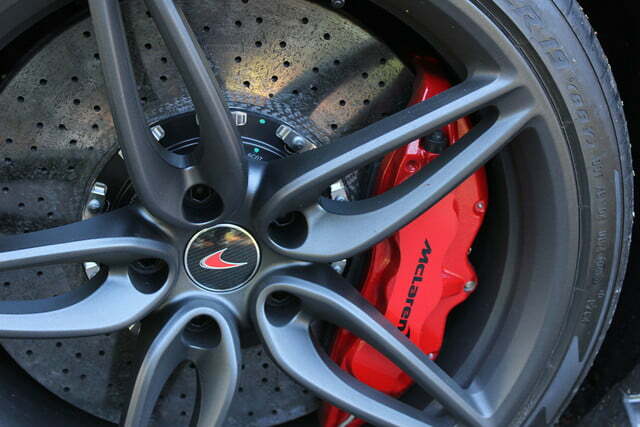 McLaren wrote the book on torque vectoring, so it goes without saying that the 570S has a brake steer system in play, which applies force to the wheels on the inside of a turn, pulling the car into the bend like the event horizon of a black hole. 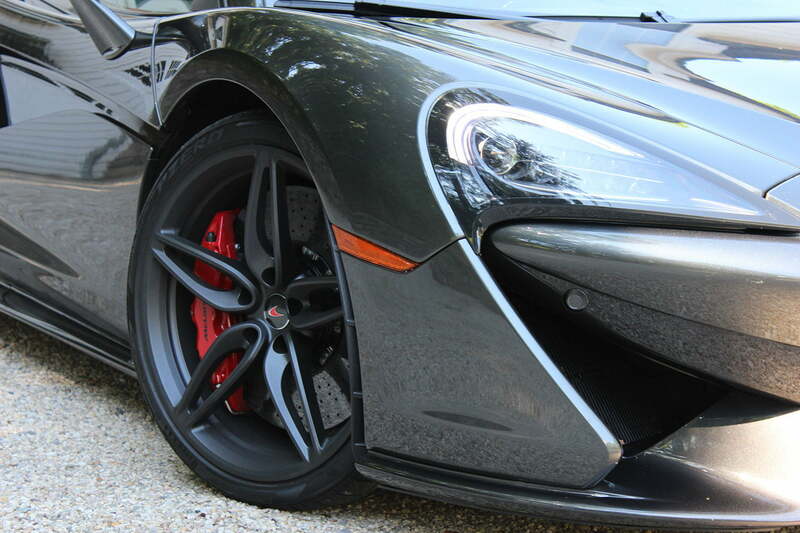 Getting the 570S to go around turns is easy; getting it to stop is another matter. With my heart in my throat through all the back roads I carved during my test runs, I had to remind myself that the carbon ceramic disc brakes really needed me to stand on them during speed adjustments — and on some hard halts, the threat of squirrelliness was ever present. It certainly drives like a race car, but unfortunately it cruises like one, too. When at a standstill, the high-performance engine gasps for air, kicking on fans that almost drown out its throaty rumble as they desperately try to maintain flow. Even in its most docile state, its engine rumble lays waste to any screed of potential subtlety. Furthermore, While the interior looks as clean and elegant as the outside, it doesn’t retain the same level of functionality. 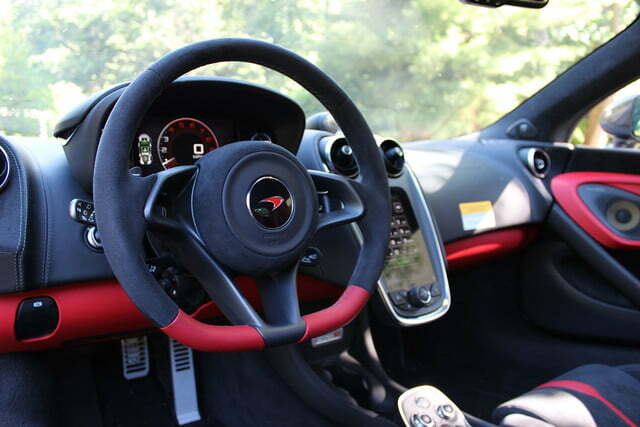 Driving position and visibility are excellent, there’s no question about that, but prepare to suffer the indignities that supercardom brings as a tradeoff for performance. Storage space throughout is minimum, and until the 570GT hits lots, you can carry more onto a commercial flight than you can fit in the 570S Coupe. Everything is very stylish and streamlined, but much of the functionality is hidden away to accomplish this. 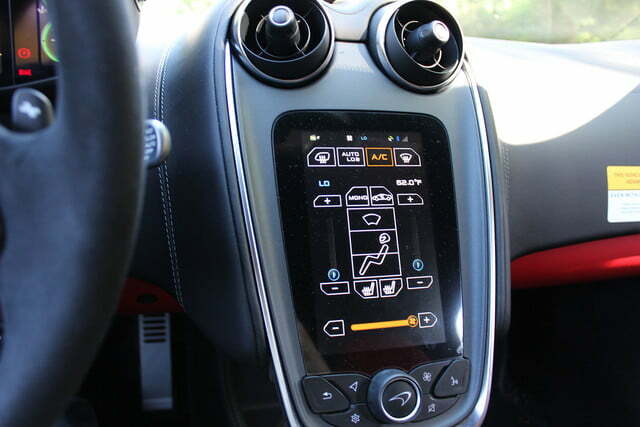 As such, simple things that other supercar manufacturers have sorted out are hidden in menus or controlled through strange sequences in unintuitive interfaces. Raising or lowering the front end, for example, is a frustrating sparring match with a stalk tied into the TFT LCD instrument cluster. In contrast to everything fast about this car, the seven-inch IRIS touch screen is the slowest thing about it. If you can figure out how to enter an address, the navigation is slow to update, as well as any touch inputs. This doesn’t help things on the move, especially due to the lack of hard buttons, save for some hard-key shortcuts to certain menus. It’s a very cool looking interface with awesome graphics, but it’s sub-standard to mainstream in-car tech. 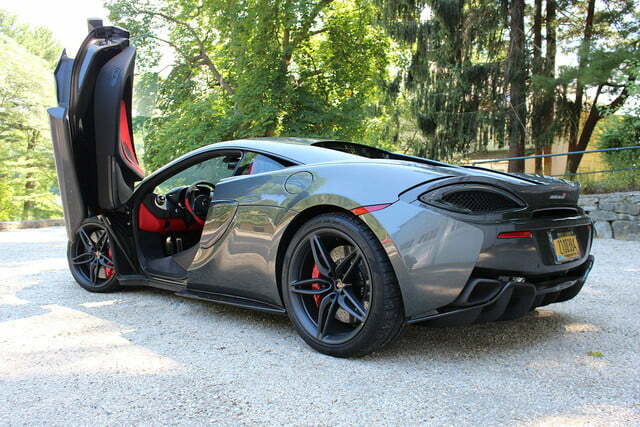 McLaren’s Sport Series coupe prices itself in line with other sports cars like the Audi R8 V10 Plus and Lamborghini Huracán 580-2, both in the ballpark of $190,000 and $205,000 respectably. Each of these offer stunning performance experiences in their own rights, but manage to equally handle the daily-comfort side of things as well, particularly the Audi. Still, we’re asking practical questions about a vehicle bred first and foremost for passion. The elegance of the exterior may thinly veil the raw machine underneath, but the visceral experience behind the wheel betrays it completely. After all, if Prometheus handed you fire from the gods, would you even care if you got burned?